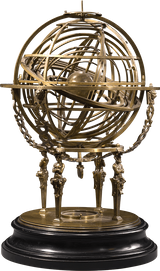 Armillary sphere (consisting of several rings or armillae in Latin) is a model of objects in the sky on the celestial sphere. 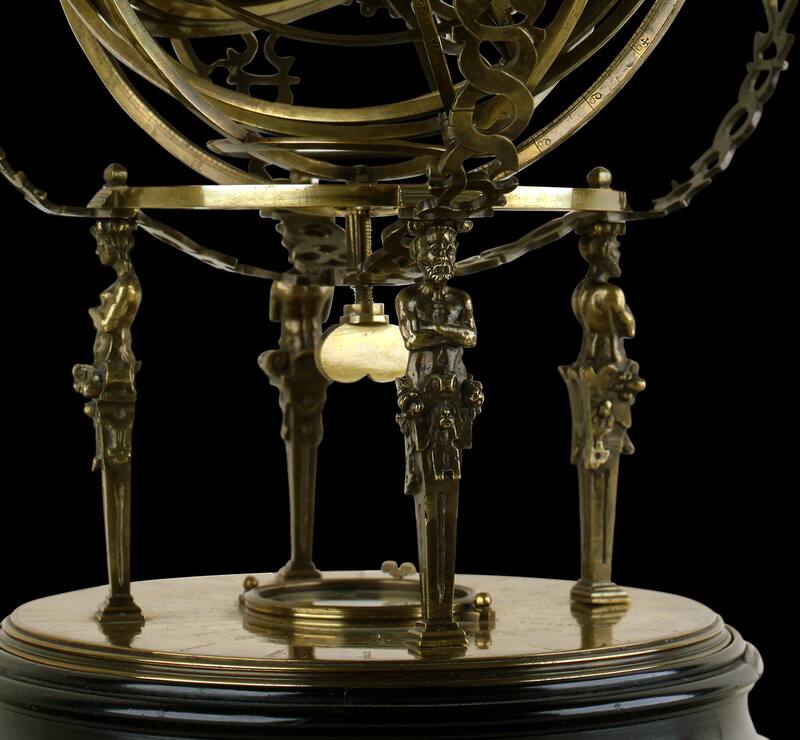 These representations of the universe were a popular fixture in cabinets of curiosities and were used to demonstrate the motion of the stars around the earth. 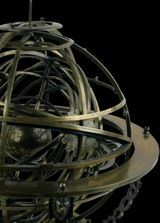 Before Copernicus established in 1543 that planets orbit around the sun, astronomers referred to Ptolemy’s geocentric model of the universe. In this system, Earth was at the centre of the universe. 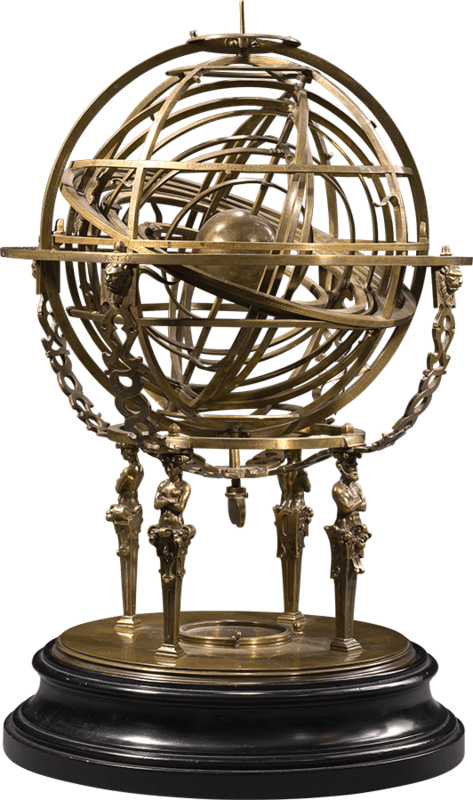 Arscenius’s armillary, that matches this Ptolemaic vision of the universe, is one of four celestial spheres of the geocentric type to have been preserved. 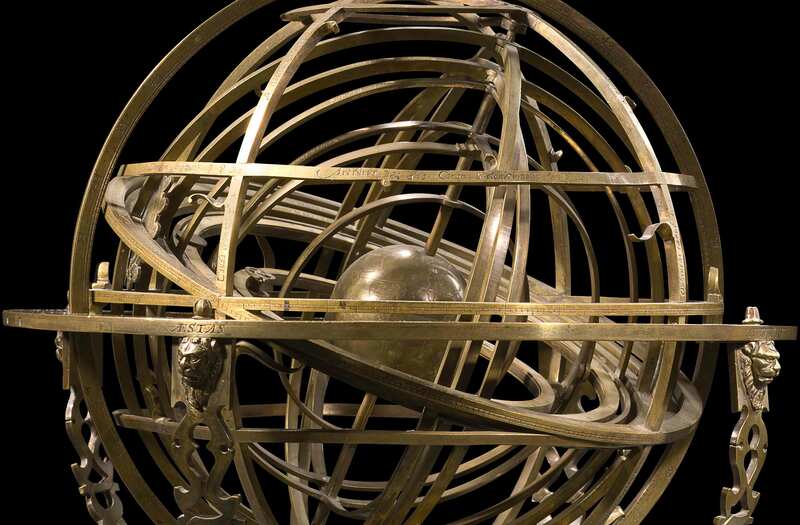 The central sphere represents Earth. The first two rings represent the moon (deferens epicyclum lunae) and the sun (excentricus solis). 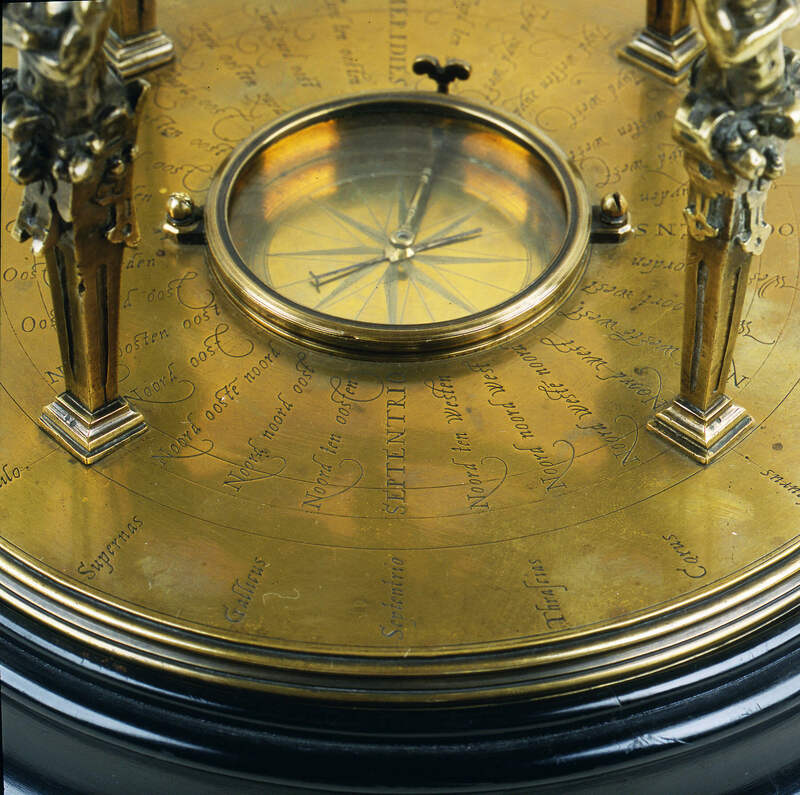 The outer rings indicate the position of the constellations in function of the months of the solar year. 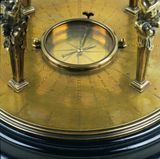 Come see this object with your own eyes in our Precision Instruments collection.